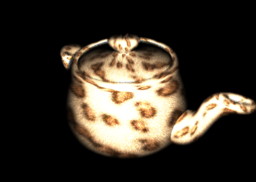 A simple fur shader ported from the orange book GLSL examples. I had the pleasure of making visuals for Rovaniemi Theatre. The second half of "Hope's Operetta" is a visual concert and the theatre is willing to share the code under CC license. Now that's neat! In a nutshell the project uses Kinect, RSS feeds, web image downloader, simple audio reactivity and some other features that might be interesting to someone. Few plugins from Vade, George Toledo and Kineme are used as well. Massive thanks to Kineme and QC community again for making learning possible. Ps. www.favor.org might be interesting to all of you. This composition can be used to display frequency Waveform from 1Hz up to 20Hz (like an oscilloscope), regarding the period value entered (range 0.05 upto 1 sec), and displays the resulting BPM. -Period (range 0.05 up to 1 sec). here is a google voice plugin. it lets you send and receive google voice messages. it will send text messages and place bridged telephone calls. you can also fetch all your settings and messages. Here's little comp that emulates generation of waves on water surface. CI filter language and some blending was used.